Cherry blossoms in Sturgeon Bay on May 18. Photo by Ron Maloney. 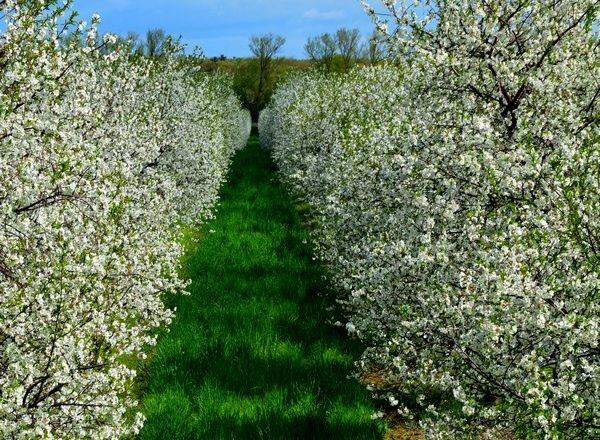 Door County’s cherry crop should be solid in 2017, according to Matt Stasiak, supervisor at the Peninsular Agricultural Research Station in Sturgeon Bay. Those freeze events brought low temperatures of 26 degrees. Stasiak said if late spring temperatures drop to 20 degrees you’ll lose an entire crop. What is Causing Evergreens to Turn Brown?